The Bolter had caused such a scandal that it is no wonder her great-granddaughter had never heard of her. 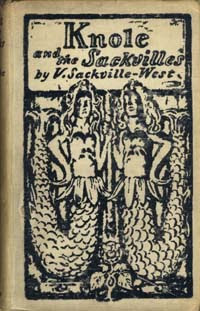 In fact in Sackville family lore, she is rarely mentioned. 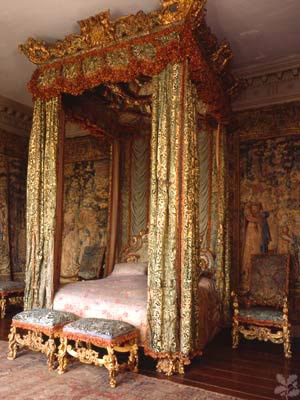 What the Sackville's inevitably talk about in every generation is their family estate, Knole. 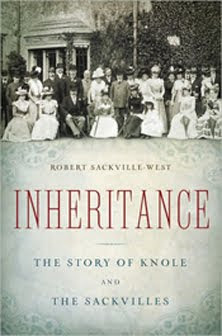 In fact, the current custodian of the Knole legend, Robert Sackville-West, has written a history of the house entitled, Inheritance: The Story of Knole and the Sackville's. 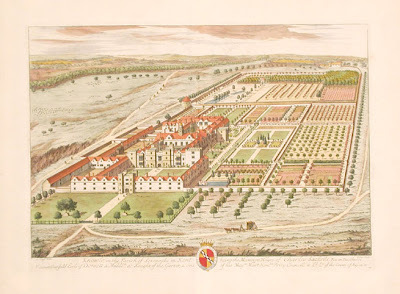 Knole got it's start in 1456 at the hands of the then Archbishop of Canterbury, and was passed and leased and rented for 100 years until finally in 1605 the Crown sold it to Roland White for approximately 221 pounds. Two days later he sold it to Thomas Sackville for 2,500 pounds. 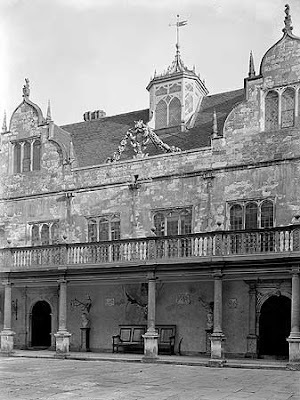 For the next thirteen generations, Knole would remain in the hands of a single family, though not without some excitement. Knole is probably best known for the one Sackville who did not receive Knole as an inheritance, Vita Sackville-West. Vita would write one of the best books on English country houses about Knole. Vita was completely enamored of her stately home but, at the time, the laws of primogeniture prevented her from inheriting the house. When her father Lionel died in 1930, the estate passed to her uncle, Charles. If there was to be any solace from her loss, Vita was immortalized in Virginia Woolf's Orlando, as the title character who was able to transcend gender. 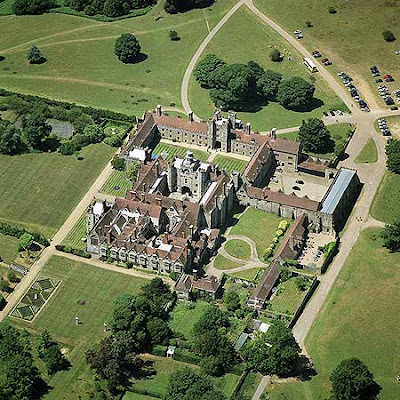 Charles, in an attempt to keep Knole viable, turned most of the property over to the National Trust. Childless, Eddy passed the title to his nephew Lionel who fathered five daughters, and you don't have to ask Vita what that meant, so Lionel's nephew, Robert, became the current 7th Lord Sackville and the author of Inheritance. 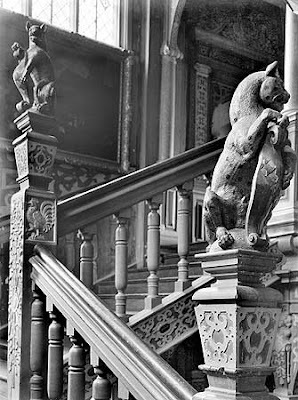 In an age when most large family estates in England have long since been sold to rock stars and sheiks, it is somewhat comforting to see Knole in the hands of the public. I have a Luxurious New Giveaway on my site....Come and enter!! Excuse me, but does this jacket make me look like a gay wildebeast? this is on the list! another thing I didn't know about Nancy Mitford. Thank you.